Everyone has a creative streak in them. Whether they express this as art, music, photography, or even general craftsmanship, every artist needs a space in which to work and to create. For most people, this is as simple as giving over some room in the home to your artistic pursuits. For some crafts, however, such as wood or metal work, more specialized equipment is required. This equipment is often too large to be placed inside the house and is instead suited to a garage or dedicated workshop. Setting up such a workshop can be expensive, but if you are passionate about your craftwork then it is a worthwhile investment. For those who don’t have the space to give over in their own homes, there is also the option of constructing your very own outdoor workshop. 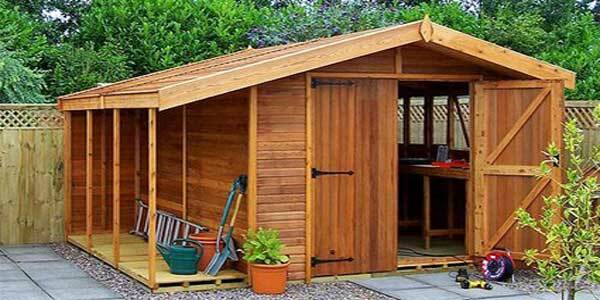 Below are some top tips for constructing your very own workshop outdoors. Before you begin planning your dream outdoor workshop, it’s important to know what restrictions there are on the type of structure you’re allowed to erect. Building codes will vary between states. Also make yourself aware of the relevant regulations regarding wiring and electronics if you are planning to run power to your new workshop. Doing this stuff beforehand will make everything that follows run that bit smoother. Local building codes will also dictate what materials you can use. Usually it will either be timber or steel. In either case, ensure that you scout out potential suppliers ahead of time and check existing reviews of them to ensure that you’re dealing with someone with a good reputation like Armstrong Steel. This is the logical place to start. You’ll want to first grade and compact the soil under where you intend to situate your workshop. Once that is done, you need to make sure that everything is level; lay some heavy blocks down and leave them overnight. Check that they remain level. Notching each rafter you install will allow you to fit them more securely, and more easily. Many builders also opt to use metal hurricanes to provide even more support. In some states, this is required by local building codes, but even where it’s not, it will make your build more secure. When it comes to choosing a material for your walls, a simple system of batten and board is inexpensive and gets the job done. Make sure to seal and paint the outfacing board to protect it against the weather. These are usually the final features to be put in place. For the doors, it is a good idea to hold them in place using clamps and then paint them and allow them to dry before putting them on hinges. If you’re into woodworking then you’re going to need somewhere to store all your lumber while still leaving room to work in. You can help yourself here by choosing a work bench that leaves enough room underneath to use as storage. Be creative with how you arrange the space you have. Once you start really thinking about ways to creatively improve your storage space, you’ll start seeing opportunity everywhere. Building the perfect outdoor workshop is a fun project that, while challenging, will leave any builder feeling proud and any craftsman eager to take it for a spin!